This is the third post in a series of guest posts by my sister Trish on her marathon 28-hour trip from Sydney to London – with a five-month-old baby. 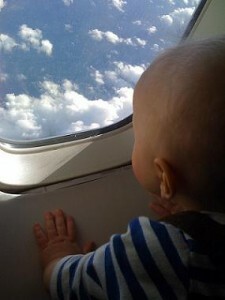 The second installment of this story, Flying With A Baby: On The Flight, was published yesterday. Today, she talks about arriving at their destination and dealing with jet-lag. 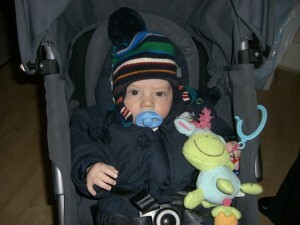 This entry was posted in Advice And Resources and tagged Flying, Flying With A Baby, Flying With Kids on February 23, 2010 by wandermom. This is the second post in a series of guest posts by my sister Trish on her marathon 28-hour trip from Sydney to London – with a five-month-old baby. The first installment of this story, Flying With A Baby: Pre-Trip Planning, was published yesterday. Today, she talks about how she chose what to bring on board, preparing for and the experience of, the actual flight itself. 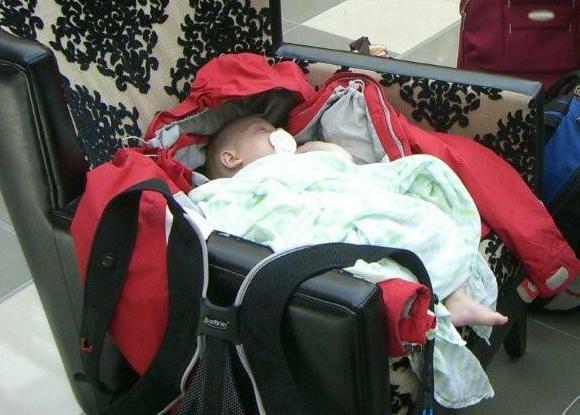 This entry was posted in Advice And Resources and tagged Flying, Flying With A Baby, Flying With Kids on February 22, 2010 by wandermom. This entry was posted in Advice And Resources and tagged Flying, Flying With A Baby, Flying With Kids on February 21, 2010 by wandermom. I started thinking about jet-lag and how I would manage it days before my trip to Sydney. Yes, I tend to hyper-organize but also I was nervous about traveling east-to-west for the first time in a long time and traveling alone with my two children. Knowing that I would likely be more tired than they and loath to start our vacation with disagreements I came up with a plan. The night before we traveled, I discussed the flights with my boys. 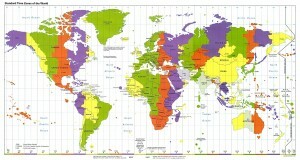 Specifically, we talked about the length of each flight and departure and arrival times. The flight from Los Angeles to Sydney is just over 14 hours. It leaves at midnight PST and arrives at 8am Sydney time. The departure time meant that it was fairly easy to convince my kids that a strategy of sleeping first and playing later would be good for all of us. My hope was that they would sleep six to eight hours each and hence start the “day” fairly refreshed. This is, in fact, what happened. I think it’s a family record for the longest amount of time CAM has ever slept on a flight. During our first day in Sydney, I was much sleepier than my children. There was a couple of times when I almost fell asleep to the “Twinkle Twinkle Little Star” playing on my nephew’s crib lullaby toy – my children thought this was hilarious. But I’m a big believer in using daylight and fresh air as tools to help combat jet-lag so we walked, we swam, we played with my nephew and all managed to stay awake until almost 8pm. I’m a light sleeper. I heard BigB wake at 3am. I listened for him to return to bed and when he didn’t, I followed him into the living room to discover him calmly reading his book on the sofa. I had to work to get him back to bed and then lie on the floor beside him to help him get back to sleep. CAM woke at 5am. He was eager to get up and insistent that he couldn’t sleep any more. Hushing him so that he wouldn’t wake his brother or the baby, I convinced him that getting a little more rest was worth a try. He did fall back asleep but only for another couple of hours and the interrupted sleep showed in his demeanor during the rest of the day. I had to work hard to keep an even temper and not be mad with him when he provoked petty disagreements with his brother. We spent most of the second day outside on the ferry, picnicking in the Royal Botanic Gardens and playing at the Andrew (Boy) Charlton pool. Both boys fell asleep easily on this second night in Sydney, slept well and woke refreshed and in good humor on the morning of the third day. Personally, I think that just over two days for all of us to be over jet-lag is a great start to our vacation. If you have any favorite tips for preparing for or managing jet-lag when traveling with children, do share in a comment below. This entry was posted in Advice And Resources and tagged Flying, Flying With Children, Flying With Kids, Jetlag on November 23, 2009 by wandermom. I think I’ve mentioned that my older son, CAM, is a reluctant traveler. But his inherent grumpiness about everything travel-related sometimes leads to some genuinely funny moments. Here’s a couple from our recent trip to Mexico. CAM (At the top of his voice): The only thing which could make my day worse, would be if we’re flying with Ryanair. Please tell me we’re not flying with Ryanair? CAM: Why aren’t we checking in any bags? Me: Because Alaska started charging $25 per checked bag yesterday. CAM: (Stopping hard, looking aghast) Alaska charges $25 for a checked bag! Me: Yes, Alaska charges for checked bags now. Can we please move? CAM: I bet Virgin America doesn’t charge for checked bags. Why are we not flying Virgin? So there you have it: the reality of chosing which airline to fly with from the perspective of a 12-year-old. This entry was posted in News And Views and tagged Alaska Airlines, Flying, ryanair, Virgin America on May 6, 2009 by wandermom. This entry was posted in International Escapades, News And Views and tagged British Airways, Flight Cancellation, Flying, Heathrow on March 14, 2009 by wandermom. Today is Photo Friday and I should just post a travel-related photo, but I came across this news article this morning and it’s so nutty, I just had to blog about it. Charging for using airplane toilets??? Not to mention that comparing this to coin-access toilets at bus or train stations is idiocy. The bus and train companies may charge for facilities at stations, but they don’t charge while on the bus or train. I don’t think I’d have a problem if toilets at airports were coin-access. But charging a captive audience for usage of conveniences while on the plane is ridiculous – I mean, it’s not as if you can go anywhere else if you need to go at 10,000 feet! This entry was posted in News And Views and tagged airline fees, Flying, ryanair, Travel News on February 27, 2009 by wandermom. This entry was posted in Advice And Resources and tagged Children Flying Alone, Flying, Flying With Kids, Unaccompanied Minors on February 23, 2009 by wandermom.